ATS tube-to-fin, liquid-to-air heat exchangers are made with the industry's highest density fins to maximize heat transfer from liquid to air, allowing the liquid to be cooled to lower temperatures than other heat exchangers on the market. The heat exchanger fins and tubes are made of copper and stainless steel to be suitable for a variety of fluids, including water, dielectric fluids and custom designed heat transfer fluids. 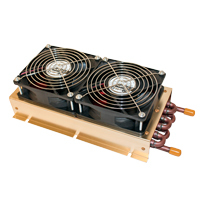 Each of the seven heat exchanger sizes is available with or without a fan. 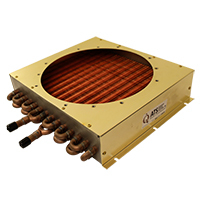 ATS heat exchangers can be used in laser cooling, medical equipment and imaging devices, compressor cooling, semiconductor processing, HVAC, food and beverage processing, and other liquid cooling applications.